Your treatment plan will include a breakdown of all applicable fees, and we will inform you of all costs before treatment is administered. For the convenience of our patients, we accept Visa, MasterCard, Discover and American Express. 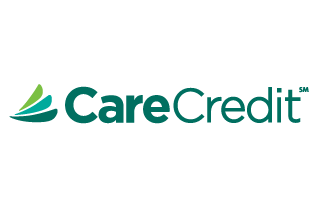 We also offer third-party financing through CareCredit and LendingClub to help make your treatment more affordable. Discounts are also available for patients who pay in full prior to the onset of treatment. Charges are payable at the time of treatment. If special arrangements are needed, please discuss your situation with our financial coordinator prior to receiving service. We accept many insurance plans and are a preferred provider (PPO) for many insurance companies. Check with our staff to find out if your insurance covers treatment at our office. If so, we will submit all insurance claims for you. We will fully attempt to help you receive full insurance benefits; however, you are personally responsible for your account, and we encourage you to contact us if your policy has not paid within 30 days.